Since 2010, High Touch has awarded a $10,000 scholarship to a Wichita State University (WSU) junior or senior majoring in Management Information Systems. High Touch established the scholarship in memory of Ted Cary, a co-founder and former WSU professor who founded the company in 1984 alongside WSU graduates Dave Glover (’75) and Mark Lenz (’78). 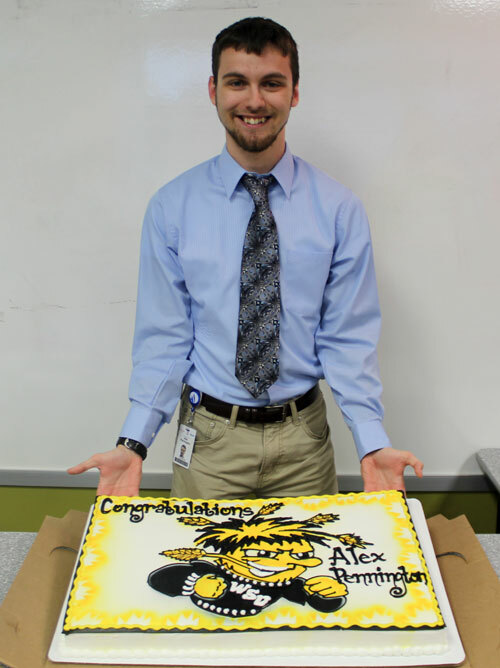 On Friday, September 18, High Touch Technologies celebrated the 2015 Ted Cary Scholarship Recipient, Alex Pennington. Alex is a WSU W. Frank Barton School of Business student. His family, WSU faculty and staff, as well as High Touch employees gathered for a reception of introductions, refreshments, and good company.